At the end of the 80's, Tod's was the first accessories brand to achieve the same status than centenary couture houses. In 1994, the bag became the new fashion victim's must have, thanks to the Milanese furrier, Fendi. Until then, iconic great houses like Hermès or Gucci owed their success mainly to their prestige, their function and the age of the brand, to their flawless production, and to the celebrity who had given his or her name to it. The Baguette bag from Fendi is the result of the encounter between a young stylist who happens to be the daughter of a celeb and the need of her time to identify with a market leading brand and an affordable product. 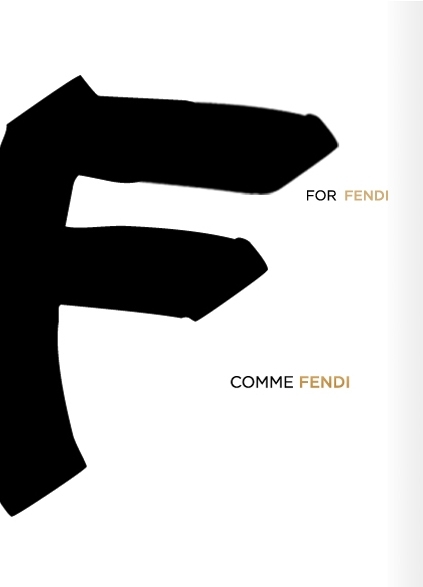 In the mid-nineties, in the middle of the minimalist period and before the restarting of the global economy and of fashion, the young woman Sylvia Fendi is appointed head of design accessories of the family business, Fendi, the inconoclast furrier. Following her instinct against the trend of chubby bags trend of that time, she designed a small soft bag, without frame carried under the arm just like the French baguette bread that gave its name to the bag. Unlike the existing bags, anonymous ones or named after their famous godmothers, she invented an accessory which owes its success to its unusual format and also to its most luxuous and playful declinaisons, often sold in limited editions. The baguette bag created a fad that rockstars, who have to maintain their position of avant-gardists in all fields, will make their own. Madonna and Lady Gaga on top. It generated a substantial turnover for the brand and a a visibiliy that it didn't formerly enjoy in the best concept stores of the world. This is how the first it bag was born, and all the fashion houses will later try to have their own by inspiring themselves from best known models, because it takes a lot of time and money to create a success. In 2.0, the “Classic” bag from Balenciaga is the other it bag that will confirm the trend. Its success is owed to Nicolas Ghesquière who has awakened one of the most prestigious French couture houses.He designed a convenient yet functional modern format which later inspired thousands of fine leather dealers and fashion houses, for a brand which had never designed any bag. The “Classic” bag owes its success to its trapezoidal shape, its zips, its accessories in the shape of silver thimblers which are Balenciaga's signature, as well as to the seasoned leathers used for the handmade manufacturing. But its iconic status is primarily related to the notoriety of the Couture house and to the talented Nicolas who benefits from the support of the press, a few celebrities and of its unconditional customers. The bag alone accounts for about 50% of the house's retail business. If the “Classic” was marketed by a less renowned brand, it would have sold at a few hundreds of bags and would have lasted for not more than two seasons. The success of Vanessa Bruno's sequin tote bag was determined by its recognizable style, its size and to the notoriety of the brand and of its founder. Celebrities who need visibility change their it bag every day in order to be present in the people's section of fashion magazine and sneak their way to the public and movie director's attention. The following must have is carried on the only body part that hadn't been trended yet: the neck. It is a very long and covering cashmere and silk scarf from Faliero Sarti, which success has (just like for Tod's) been the subject of a doctoral thesis at Harvard. It sets the final touch, until the knee, to the rockers and and bourgeois-bohèmes' loose look.